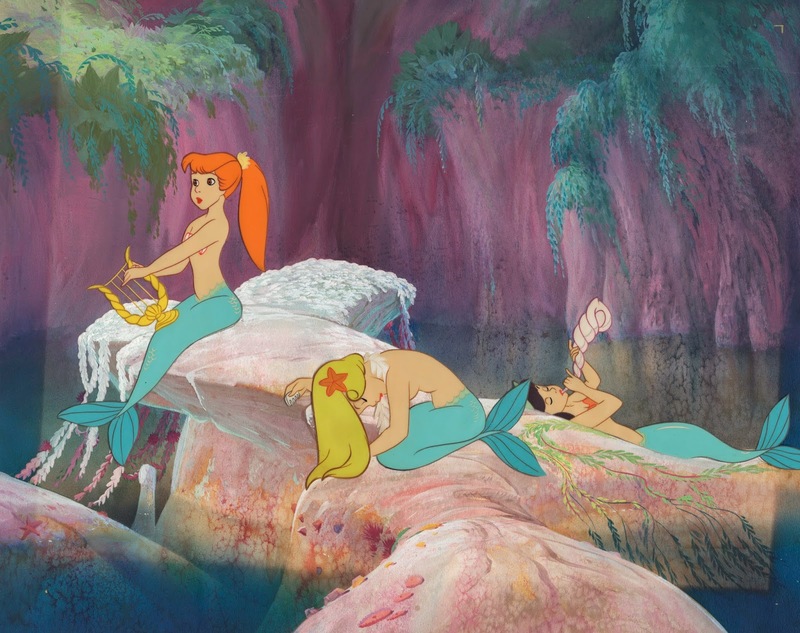 The development of the Mermaids in Disney's Peter Pan involved several artistic hands. 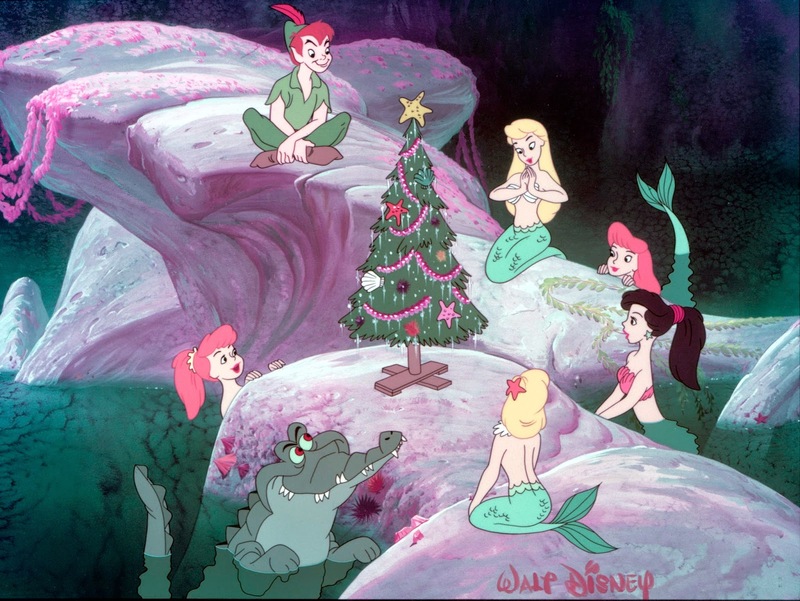 This cel set-up was made to announce the later arrival of the film during the holiday season of 1952. The background is lovely, but the quality of the drawing and inking leaves a lot to be desired. I suppose the top artists were busy finishing the film, which was released in February of 1953. 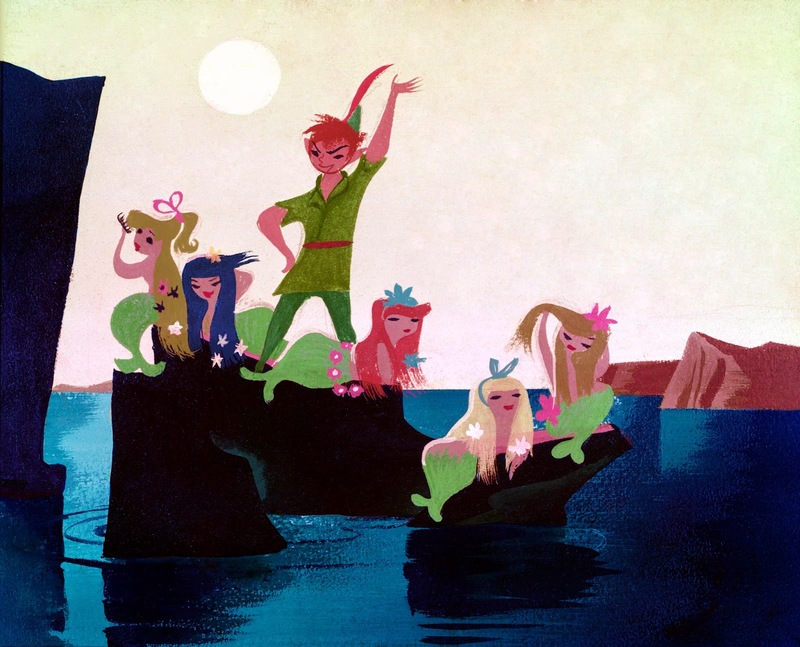 One of Mary Blair's many concept sketches featuring stylized mermaids with short bodies. An experimental cel set-up. 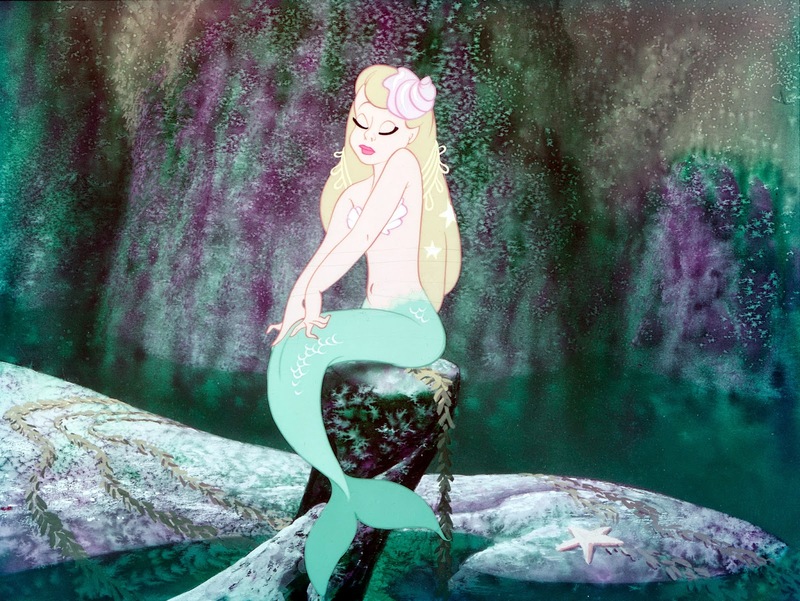 The background shows an exploratory painting technique, and the character pose is inspired by a drawing from the model sheet below. 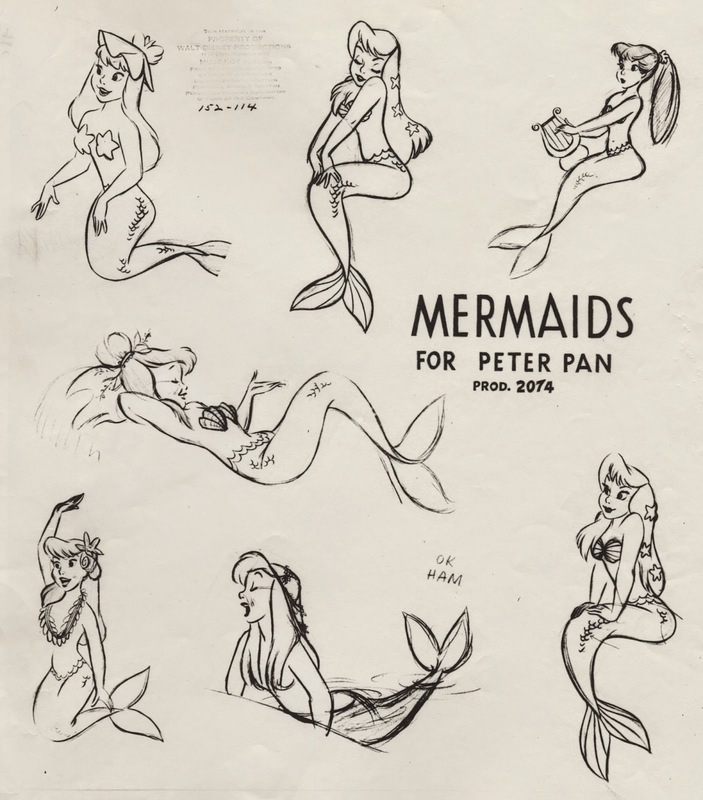 The original Mermaids designs were the work of Fred Moore, but this model sheet looks like Milt Kahl might have worked over Fred's drawings. Another preliminary cel set-up, which combines the above- and the under water world in an interesting way. 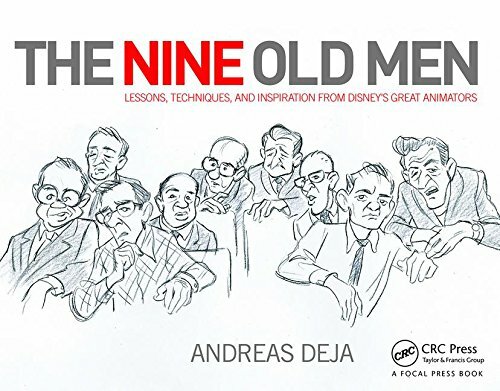 This live action reference frame clearly shows how the actresses' poses influenced the final animation, as can be seen in the artwork below. 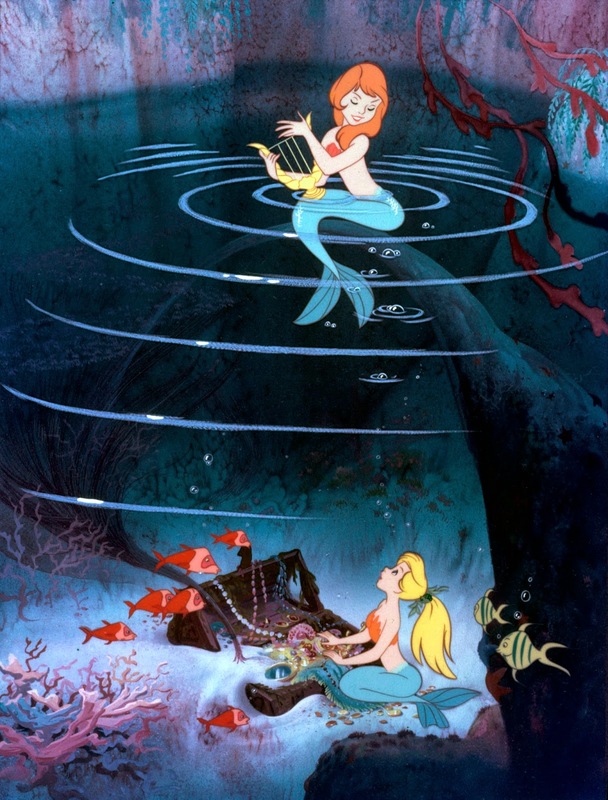 The mermaid with the harp is Margaret Kerry (who also posed for scenes with Tinker Bell) and the one holding a horn is the one and only June Foray.